The share of online adults in the US using Twitter has consistently grown in the last few years, up from 18% in 2013 to 24% in 2018. Making it a phenomenal idea to use this medium to enhance your business exposure. So if you intend to get maximum benefit from Twitter, but not sure how to go about it, here are some fine tips and tricks to construct a Twitter strategy that will have a lasting impact. 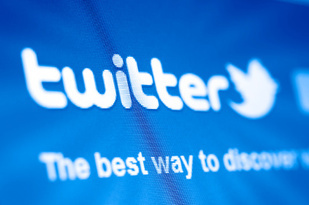 Launch a distinct brand voice to trademark your complete Twitter strategy. One of the priceless assets is a talented writer who aligns his or her style with your brand, especially when it means launching your voice. Here are some of the characteristics to keep in mind when crafting your brand voice. Do you want to have a limitless supply of content? Then, you will surely need a well-designed editorial calendar. The keys to a great advertising strategy are planning and organizing, as per the marketing experts. You need to create a shared document which is used to add, edit and adjust content constantly by anyone posting to your social media. A calendar will prepare you to keep track of upcoming events, what worked well and also ensures that you have enough planned content for the future. Your audience is online even at times when you are not. Hence scheduling tweets can be an awesome idea to make sure you reach your audience at any point in time. It is quite easy to schedule tweets from the dashboard of the ads campaign. This facility is free of charge which can be used even if you are not a marketer. Never miss to check back regularly on your scheduled tweets as it is a massive missed opportunity. Reach out to your audience and keep them engaged by checking and re-checking your activity on Twitter often. You should also ensure to reply to tweets, tap into conversations that are trending and retweet content that is relevant. Increase the number and quality of your followers by being active in Twitter chats. You will find chats on any topic and you will be glad to see participants who use Twitter to make long-term connections with compatible individuals and brands. These followers will help to intensify your message and raise conversation about your brand. Be an active participant in Twitter by also replying to tweets, maintaining relationships even after the chat and following new people. If you noticed there are no chats that are relevant to your brand, go ahead and start your own chat. You will have to make sure to promote your chat to expose it to the maximum amount of users. The best tweets sometimes are made on the move. It may not be a part of the plan, but when you find an opportunity don’t hesitate to wander away from the calendar. It is a good idea to make the most of the trending topics, current world events or it could also be a wise mention from another person. However, you need to be careful that you don’t use a tragedy as an opportunity for branding. Tweet with precaution when you see sensitive situations and you may also consider stopping any scheduled tweets if they only appear to detract from the situation. One-sided marketing rarely succeeds today, and that is the same with tweets as well. You need to have a healthy mix of Twitter Ads, Organic Tweets, and above all, @replies in your Twitter marketing strategy in order to create two-way engagement. It is a great idea to experiment with various types of content and find a balance that fits your audience well. This is key to an intelligent Twitter strategy. The focus should, however, remain on a good balance of paid and organic content. There may be an influence on the organic tweets if there are more robust paid campaigns. It is easy to craft a Twitter strategy with the help of proper planning, constant tweaking and a gist of imagination. This kind of strategy will ensure to elevate your brand and foster your community of followers.